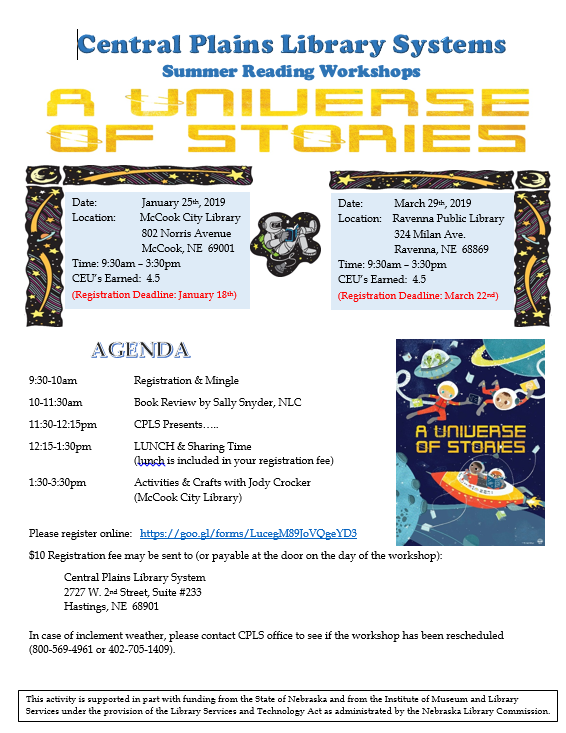 Have you ever been interested in an advertised workshop, only to realize it is on the day you have story time? Or that it is too far away? Or that you don’t have any Personal Days left? Or that your professional education budget is empty? CPLS has a plan for providing workshops that will solve all these problems, and more! Workshops on Demand allow you to choose the workshop topic, select the date and time, and decide how many from your staff will attend…all at no cost to you. From July 1 through December 31 you may choose from this list of ten workshops. Each workshop is 2 hours long. Pick a day, decide if you want the session in the morning or the afternoon, and contact the System Office to get it on the calendar. Once we have 3 people registered, we are ready to go. 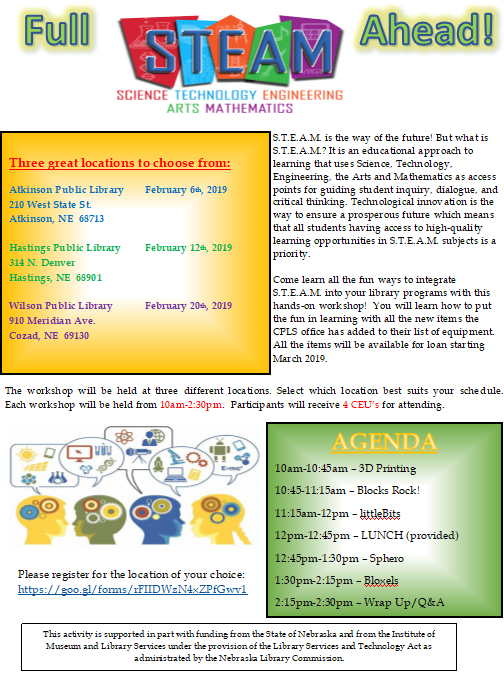 Invite your board members, Friends of the Library, and neighboring librarians. Use this service for staff development day.